Another Trader Joe's find! 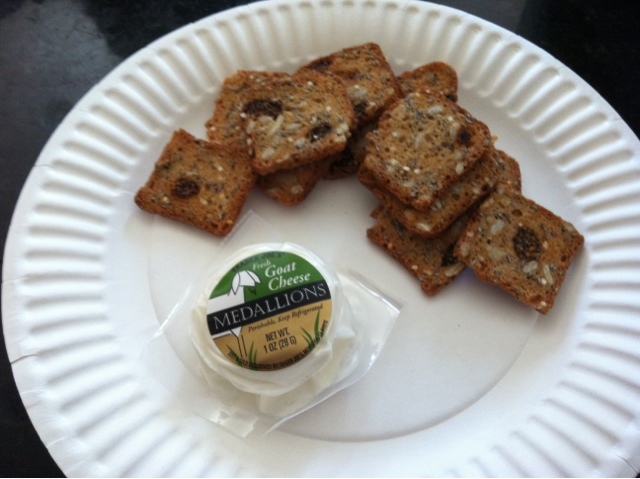 Mini goat cheese and 12, yes 12 Rosemary raisin crisps. SO tasty for a 160 calorie snack.